You, sir, are part of the problem. The problem of science is that so much of it has been politicized. Politics uses terms like "consensus", "we need to act", "march for". Science uses terms like "limitation", "uncertainty", and "needs further research". When was the last time we heard a climate research activist say "here is what my models show, but... here is how they are woefully incomplete"? Where were the climate researchers when Al Gore said, "If all the ice in Antarctica were to melt..."? They should have been screaming at him at his error. There are two types of people I've met who reject scientific principals. They tend to be fundamentalist Christians or Socialist Democrats. The former over evolution, as they take a 400 year old translation of a translation of a hundreds of year old oral tradition literally. I note that Popes have declared evolution does not contradict Catholicism. The latter over GMO, Roundup, anthropogenic global warming, nuclear power, and vaccines. Whenever the conclusion of a scientific study is to advocate or to imply to do something, you can be sure you are reading about politics, not science. This is as true for so many global warming researchers as it was for Albert Einstein's letter to FDR to fund the bomb. Donald Trump is a Socialist Democrat? Wow! Even without an experiment, I feel safe in asserting he's not likely a fundamentalist Christian so I guess in this binary pair, he's an SD, maybe with a T too? I love science, but what I don't appreciate is all those damn people and politicians on the left who insist the government needs to control and spend billions of dollars in a feeble attempt to control the climate. Since the problem is Climate science, not industry science or science in general, you could get Albert Einstein to lead this march and it would do nothing to change people's skepticism and distrust of democrat politicians and climate science. "When was the last time we heard a climate research activist say "here is what my models show, but... here is how they are woefully incomplete"? ---- At every professional climate science conference. Every single one. Paper after paper in the peer-reviewed science. That you do not know this means you are unaware of the scientific method which is the way science has been conducted for hundreds of years. And it is something taught and should have been learned in every junior and senior high school. "Where were the climate researchers when Al Gore said, "If all the ice in Antarctica were to melt..."? They should have been screaming at him at his error." -----Al Gore? He is a politician, not a scientist. That you would focus on what a politician said speaks volumes about your political agenda, not scientists. Further evidenced by the use of the word "democrat" (SIC!). Lastly, your comment that "the problem is Climate science, not industry science or science in general" is a bald face absolute lie. Just look at the anti-vaccine brigade led by such "leading scientists" like Jenny McCarthy (!) and others who have similar (complete lack) of credentials...yet are believed without a shred of legitimate evidence or science to support them. In short, your comment is precisely a prime example of the problem: A display of complete, epic failure of critical thinking coupled with head in the sand "I don't have a climate science degree but somehow I know more than literally every professional climate scientist and science organization in the world" (that is not hyperbole either) arrogance. Again, what an epic display of critical thinking failure and complete lack of knowledge about the scientific method that was taught when you were in junior high. "Whenever the conclusion of a scientific study is to advocate or to imply to do something, you can be sure you are reading about politics, not science. " Please cite one, just one peer-reviewed "scientific study" that advocates to do something. And remember, by definition, gray literature, newspapers, Fox News, and blogs are not "scientific study". In other words, you made up your comment without any credibility and not a single basis of truth in it. At all. Funding for science/academia has been increasing constantly since the 50's saw the introduction of the Vannaver Bush "endless frontier" concept. Some of this funding produces something, much of it is wasted. 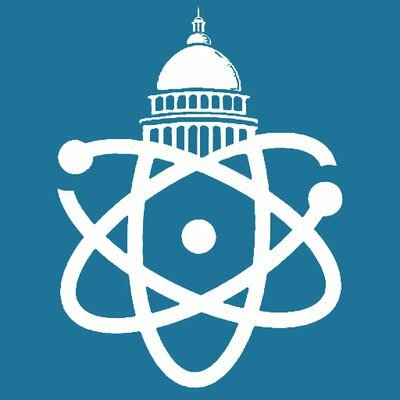 In general, scientists have done much, much better than your Alabama battler, and I'm not sure that the benefits have trickled down nearly as much as promised. Working in a university, I am struck by how few academics actually work on a problem that they really, really want to solve. Much of their life seems to revolve around writing grants to pay the next postdoc to write the next grant and the next paper and so on. Not just that very little output ever translates into something, much less help that Alabama battler you want to reach, that's of course hard, but one feels like that's often not even the goal. So I think leaving the march aside, the challenge is to show that scientists are in fact in a real way concerned with generating outcomes for the broader population -- and that's going to be really hard in those ivory towers!. One simple thing that has emerged lately is that the people are really tired of being lectured. I don't see how a march will be effective in reaching the very people you want to persuade (your third pp). Marches read as "noise." I think the most effective means of persuading people who are suspicious of scientific agenda is face-to-face engagement via conversations and talks that are open to the public. Basically, a grassroots approach to science. And that's almost entirely lacking in our rural communities. It sounds simplistic to say, but what we need now at this very moment is people sitting down with other people--and suspending their assumptions. I personally feel marches are ineffective and also counter productive. It creates a them vs. us visual that emphasizes the idea of scientists being intellectually elite. If you want to reach Trump's rural supporters you need to do everything possible not to widen the divide. As an example: I grew up in a rural, blue-collar community. Our local community college was actually quite good and sponsored a lot of cultural events, but what you didn't see were science talks. Which was a shame. Because people in the community were very mistrustful of the things they didn't understand, but also willing to listen and open-minded when given the opportunity. I think you make a very important point about which I have been thinking a lot, and I couldn't agree more. How do you think people like me can actually have face to face conversations with those who might think differently? You are absolutely right that the best resolutions happen when people talk to each other individually. Personally I don't think marches are ineffective per se, but I completely agree that they are no substitute for face to face grassroots interactions. @ Sara: Marches & peaceful demonstrations are helpful. They demonstrate numbers & time/monetary commitment of the participants. It's analogous to tithes & contributions to religious and other social groups. They generate discussion of issues. You are correct that we don't do enough personal outreach. I'm trying to do that by participation in local organizations, including a small, rural conservative thinktank, writing letters to papers & writing, phoning & visiting legislators. Sara: I disagree on the value of marches & peaceful demonstrations. They demonstrate size & commitment of a constituency & generate publicity & discussion of issues. I agree that we scientists need to do more outreach. I've started reaching out & participating in local groups, including a local, small conservative think tank, writing letters to papers and communicating with legislators. Francis Bacon: "Knowledge is power." One conception of politics: 'the exercise of power'. Simplistically, given the above, politics is the exercise of knowledge & hence of the products of (in part) science. Change the science & you change politics. "At its core, science is a reliable method for creating knowledge, and thus power.… Because science pushes the boundaries of knowledge, it pushes us to constantly refine our ethics and morality to incorporate new knowledge, and that, too, is political. In these two realms – The socio–economic and the moral–ethical–legal – science disrupts hierarchical power structures and vested interests (including those based on previous science) in a long drive to grant knowledge, and thus power, to the individual. That process is always and inherently political. " On whether to march for science: Peaceful demonstrations have proven to be powerful political tools, so let’s march! Otto, Shawn 2016 The War On Science: Who’s Waging It, Why It Matters, What We Can Do About It. Milkweed Editions, Minneapolis, MN. ISBN: 9781571313539. Comments like yours, lacking reasoning/documentation/evidence/data your comments aren't just worthless, but degrade public discussion & increase polarization. Qualityresearchchemical is a company specialising in the distribution of legal research chemical crystals and powders. Our offers include legal Sedatives, Stimulants, Dissociative,Psychedelics,Empathogens and Cannabinoids.